The space is already broadcast-ready and will require few changes. News station WMTW-TV will move into the Westbrook studio occupied by TV stations WPME and WPXT once it leaves Portland, and plans to start broadcasting from the facility this fall, according to WMTW President and General Manager David Abel. “We’re hoping to get on air from the new facility by Oct. 1,” he said. WPME, the local MyNetworkTV affiliate, and WPXT, the local CW affiliate, will continue to operate from the same building at 4 Ledgeview Drive alongside WMTW, WPME/WPXT General Manager Tom MacArthur said. The available space, which includes a 2,500-square-foot studio for newscasts, became available to lease in October. The studio was built for WPXT’s local newscasts when it was a Fox affiliate but is no longer being used. “For the immediate future, at least for the next couple of years, we will be cohabitating in the same building,” MacArthur said. 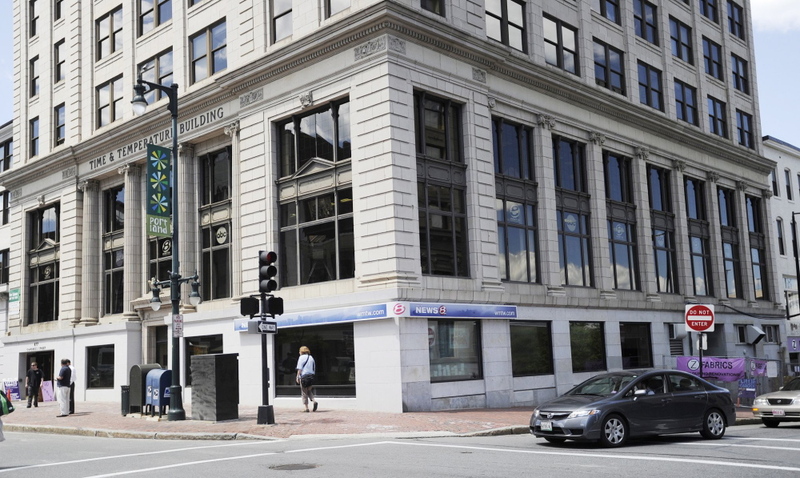 WMTW, owned by Hearst Television and known as Channel 8 in Greater Portland, has operated out of the historic Time and Temperature building on Congress Street for the past 15 years. Abel said the move to Westbrook will allow the station to save money and provide a better experience to viewers. The space is already broadcast-ready and will require few changes, he said. Ultimately, WMTW plans to move its Auburn news-gathering operation to the new studio, but Abel said it could take up to two years before that happens. In addition to the cost savings, the consolidation is expected to bring together the station’s on-air talent with personnel who work behind the scenes, allowing for better communication and collaboration, Abel said. “We’re doing this to make our news better, and to better serve our viewers,” he said. WMTW’s 90 employees are split evenly between Auburn and Portland. Operating in two locations requires a lot of driving back and forth, which is time-consuming and expensive, Abel said. He emphasized that the move to Westbrook will not diminish the station’s coverage of issues in central Maine. “We’re not abandoning Auburn,” Abel said.